When asked what the new show will be like, Singh jokingly told Fallon it will be "kind of like my YouTube channel, but just, you know, now I have more than three staff members." 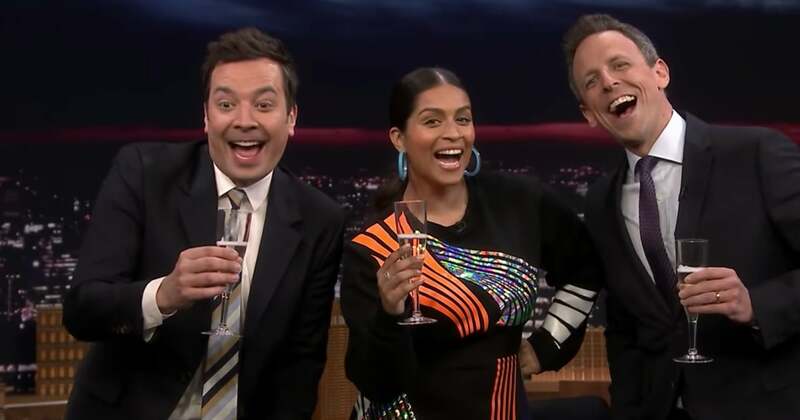 Singh — also known by her loyal YouTube community as Superwoman — joined the video platform in 2010 and has since amassed over 14 million subscribers — a following most first-time late-night hosts could only dream of having. "I'm so excited because I truly get to create a show from scratch," Singh told Fallon. "I get to make it inclusive, I get to create comedy segments, and interview people, and really create something that I believe in, and I'm so honored and humbled, truly."